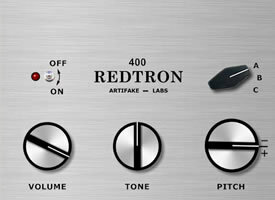 Amok_'s review (This content has been automatically translated from French)" Superb Mellotron 400 Freeware"
Not easy to download as it takes to find the link! It emulates a double mellotron VSTi 400 from a bank's. I use it occasionally, but I always thought it vsti is in good order. The samples used are very good although lacking a bit of chest. As gforce mellotron in, you can loop over 8s!